Essential oil diffusers have quickly become one of the most popular ways to gain the benefits of therapeutic essential oils. The trouble is, with such a dizzying selection to choose from, searching for an essential oil diffuser might leave you scratching your head. 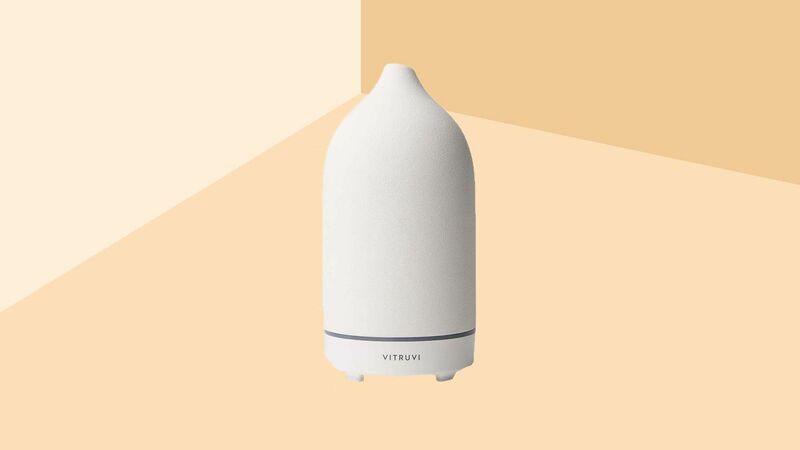 When simplified, these aromatherapy devices fall into four categories: ultrasonic diffusers, nebulizing diffusers, evaporative diffusers, and heat diffusers. 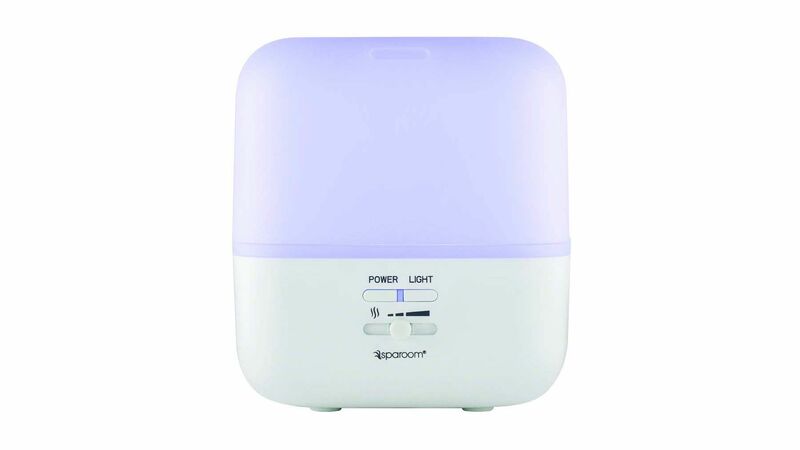 Ultimately, ultrasonic and nebulizing diffusers are the most effective at dispersing essential oils in a way that is beneficial to your health and well-being. Both gadgets work by releasing a fine mist into the air without using heat, but this is where their similarities end. Below, we've broken down the differences to help you find the best essential oil diffuser for your home. What is an ultrasonic essential oil diffuser? Ultrasonic essential oil diffusers use ultrasonic vibrations to break molecules into microparticles, which are then dispersed into the air. With this type of diffuser, essential oils are mixed with water. This can be a major plus for those who live in areas with cold winters or dry climates, since this gadget can double as a humidifier. The water dilutes the potency of the oils, but for those who are sensitive to smells or want their essential oils to last longer, that could be a good thing. What is a nebulizing diffuser? Nebulizing diffusers atomize essential oils using a series of tubes, dispersing the oils in their purest form. For this reason, nebulizing diffusers will require more essential oil to run, but you also don't need to run them for as long as with an ultrasonic diffuser to have the scent fill the room. Something to keep in mind with this type of diffuser is that you’ll need some knowledge about essential oils since thick oils must be blended with thinner oils before they can be atomized. So which type of essential oil diffuser is the better option? Over the course of three weeks, I tested out five different diffusers to find the best one. Here’s what I thought. 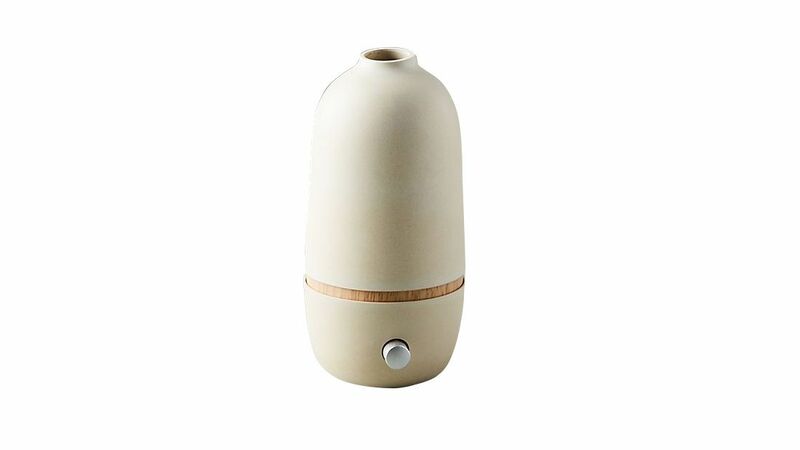 Purists will absolutely adore the aroma produced by this nebulizing diffuser. Of the five diffusers tested, the Sofia was by far the best at producing an intense fragrance. Plus, the setup for this diffuser is super quick and straightforward. I was excited to find that the Sofia came with a light option, as most nebulizers do not. Included with this model was a second glass reservoir so that I could effortlessly swap in new oils on a whim. While you can adjust the intensity of the mist, you can’t set the duration. It has an automatic diffusion cycle of two minutes on and one minute off, stopping automatically after two hours. This time limit is actually very helpful, as I later found out. Having an automatic timer meant that I could leave it running without having to worry about overexposure. With that said, the device does give off a slight buzz as it cycles on and off, but the noise is relatively gentle. 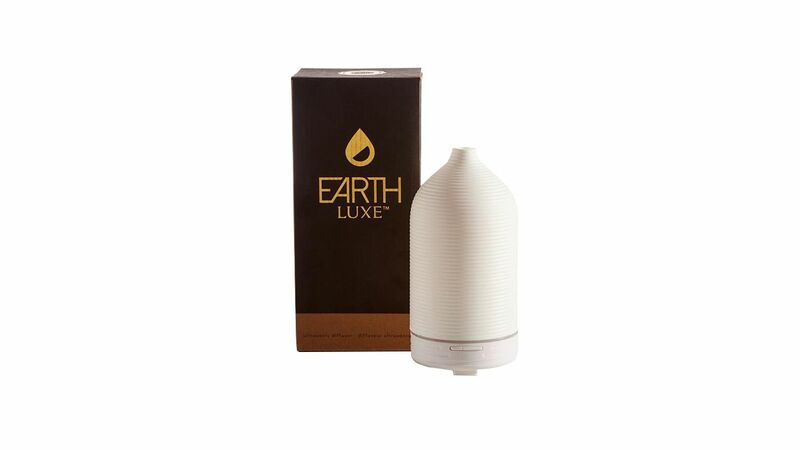 Made from hardwood, mouth-blown glass, and bamboo fiber, this diffuser is not only the most eco-friendly option, but it's also the best at filling large areas. Once turned on, the device runs continually, giving off a gentle hum as it works. While this causes it to go through oils very quickly, the fragrance is so pure and present that this diffuser only needs to be run for short bursts of time. I really love the compact, vase-like design of this diffuser, which can be stylishly showcased on an entryway shelf to provide a stress-melting welcome home. To buy (similar, in black): $80; cb2.com. If you’re looking to treat yourself to a seriously high-quality ultrasonic diffuser, choose this one. 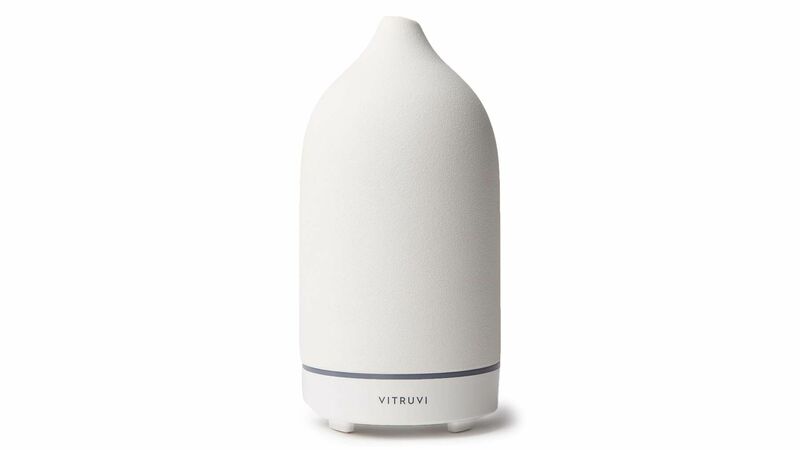 Not only was this the quietest diffuser of the bunch, but it also gave off the most consistent mist and was clearly designed with relaxation in mind. This hassle-free device allows you to choose between a three-hour continuous diffusion or a 7.5-hour setting that rotates on and off every 30 seconds. The water reservoir is encased in a thick, handcrafted stone cover, making it whisper-quiet. While the scent provided by this diffuser was lighter than the aroma from the nebulizing diffusers, I was impressed with how well the scent was dispersed throughout the room. If you plan to run a diffuser while you sleep, this is probably your best option. It will safely turn off after its cycle finishes, and it emits such a subtle glow that it can double as a soft nightlight. 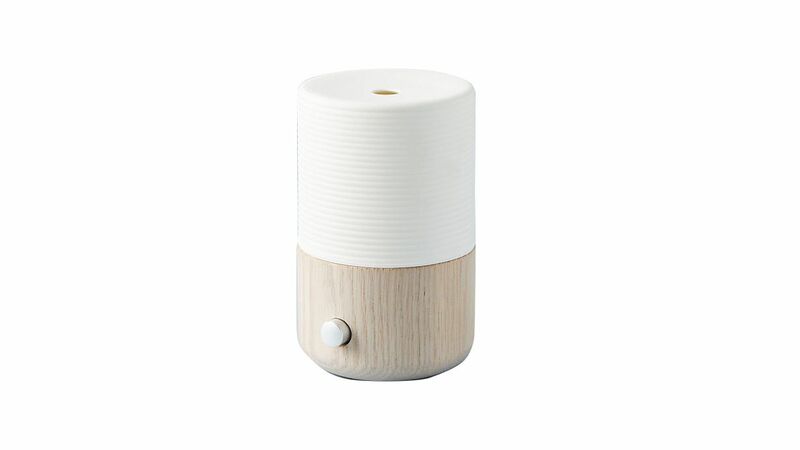 Keeping your air fresh and humidified is a breeze with this lovely little diffuser. The heavy mist produced by this gadget has a delightful cascading effect, making it a real pleasure to watch. Its colorful set of lights can be set on rotation, to a singular color, or turned off completely. While certainly the most visually interesting diffuser I tested, it is probably the one with the softest aroma. The plumes of mist carry a very light scent, as only three to five drops of essential oil are recommended for this device. This makes it an excellent choice for those who may be sensitive to high concentrations of essential oils and don't want a strong scent. This is the ultimate diffuser for those who want to safely introduce aromatherapy into their homes but have young children or pets. The cube shape of this diffuser is not only cute and compact but highly practical, providing a sturdy base that isn’t easily knocked over. Made entirely from plastic, you’ll never have to worry about this device breaking into sharp pieces. One uncommon feature that I absolutely loved was the ability to choose the direction of the mist, and you can set this device for one-, three-, or six-hour cycles. Safety was built into this unit, which automatically shuts off when the water level becomes too low. With tons of fun, colorful lighting effects, this diffuser provides a wonderful starting point for families.